“HELP! Please someone help!” Yelled Susan. The couple started to think about their lives. They thought about all the things they wanted to say but didn’t. They thought about the things they regretted. They thought about how their deaths would make their families cry over them. They thought about how will their friends react in their funeral? Will they cry? Will they rejoice? So much on their minds that they just broke. The fire continued to spread and the ceiling started to fall apart as well. The flaming false walls started to break apart and fell to the ground. Sparks started flying as the fire burned the lights and the circuitry. Susan said nothing but nodded her head. She then put her hand on William’s hand and arm, while William put his one her hand and waist. They looked into each other’s eyes while dancing. Disregarding about the fire around them. Emotions were too much for either of them to take but they took it anyway. They are ready to dance until they die together. Then, they heard the door come crashing down. My personality types has always been changing. Back in secondary school, I was involved in Boys’ Bridgade and was a leader in the CCA. With the CCA not doing very well, I had to step up and be more choleric to drive things, to persuade people and overall had to be more of a leader. Then, after I went to Poly and had a heartbreak, I started to treasure my friends more and became Sanguine. I basically learned how to invest into people’s lives more and how to just spend time with people out of work. Something I still give thanks for! Then, I realized certain things aren’t right with my actions as a Sanguine, so I cut back on my nonsense that brings no depth to the relationship whatsoever. In doing so, I slowly become a Phlegmatic. I began to relax and started to take things at a time and learned how to do things at the right time. Recent events has rendered me no choice but to go right back to be a Choleric…. and I honestly HATE it. I hate it that I have to be the one that initiates stuff. I hate it that I have to be the guy that pushes people. I hate it that I have to be the guy that reminds people that we have work to do. I hate that I have to be the guy that tells people to be serious. I hate that I have to be the guy that wants his way. I hate to be the guy with the short temper. I hate to be the guy that rejects people’s ideas. I hate to be the guy that gets annoyed at what I think is wrong. I hate to be the guy that works hard and make everyone feel bad. I hate to be the guy that keeps check of the time. I hate to be the guy that has people annoyed at me because I remind them to do work. Honestly, being a Choleric again just reminded me of why I stopped being one in the first place. There are things WAY more important than work and progress; friendships are something that I really treasure, but the me now cannot stand no progress at all. Being Choleric has its advantages of course, I get work done so efficiently, but my heart is just sadden by how much I lost as well. Can you not be angry at me? Recently, explaining an experience of God’s presence has been more of a literature exercise than a heart exercise. The more I see people trying to explain and pursue it, the more I hear jargon. Goodness. Can you please stop overcomplicating things? Can you stop using words and phrases that people don’t understand? Where has the simple explanation gone? Let’s try not using the words you prefer to use. Let’s try explaining the word you just used with simple English words that everyone, even a non-Christian, can understand. I wonder if you can stand it? Stop throwing in infomation; stop dumping every good point that you think it is good for everyone to hear. Stop. Having such infomation is good and I trust that it has benefitted your walk, but simply dumping every ounce of infomation is not good. Think it through, think about what you say and whether is it in line AND if sharing it is going to help. If not, it is better not to share, for it might confuse people rather than helping them. Anyone that answers a difficult question quickly could have a few reasons why they can do it. First, they been through it and can answer with certainty. These people are able to share how and handles on how to tackle the problem. People like these have the right to do so. Second, they see the answer sheet so they know the answer, but they have no idea how to work out the problem. They can still answer the question, but they shouldn’t answer proudly or give advise for the question, for they themselves have no idea how to do solve it. Third, they have tried, but not yet solved it, so they give possible solutions. I much rather enjoy answers from this party than from the second, for at least they have tried and there is a possibility that out of all the possible answers there is one that is right! Lastly, they do not know and they just bomb the answer. These people have no right to answer the question at all for they only confuse people. Of course I am not just talking about a math question in the last paragraph; I am actually ranting about another incident when a person said something that is easier said than done, which was what I almost posted, but I decided not to it because it was a bit too much. Let me just leave the issue as this. I then saw a difference between two Sang Chors that I know of. One simply speaks too much, tries to help but is not helping at all. The other, asks questions to help people release their thoughts. I never seen some people pour out that much. Then I simply ask the Lord, what makes them different? Well, the Lord did not answer specifically, but I noticed that the first is quick to answer while the second stops and think. Woe to the one that is quick to answer, for he will hurt people. Oh well, it could that the second one is older and more mature too. I want to be a strong but gentle person that is simple and real, but is not lazy and would pursue and continue to love God. Pray against selfishness and arrogance. Love and treasure people. Oh, I find myself really stupid; I keep tempting myself today. Time to take a step back(literally) and be a more aware person that is not flirting. Stop being a flirt and stop having contact. Stop trying to get attention from people by saying things. Stop just stop. Enough is enough. Lord, please satisfy me. Now Lord, please give me rest. Slipped but my lunch was still intact! Thank God! Got a few minutes to jam in the studio! Drum lessons were not smooth at all… Need to practice my stuff! But I took a nap! It was a good nap! Managed to write up a lot of notes for tmr’s test! Did my best so can’t say anything! Took 156 home, very comfortable! Studied a bit for the Practical test! Went and printed my fake book! Managed to do up a bit of stuff! Managed to see Leb record again! Looks like I will be cited in the Album credits as a drum assistant! Haha! Met Ricky, quite a friendly guy! Nice chat on the way back home! Lesson was fun! 🙂 Passed very fast! Managed to scout a few places for filming! Watched another episode of Code Blue! Caught up to the MRT! Managed to practice a bit! Did QT in the morning instead! Saw Renee’s kid hugging her, so heartened by that sight! Went down, had free bread from Kennaf! Got home, did up a bit of my work! Really wanted to talk to someone but my mind doesn’t allow it. On another side, I really give thanks for the equipment that I was blessed with. Audrey, my snare, has been really reliable! Though I hit extremely hard, it never fails to perform! The tone is amazing the look is killer! 🙂 my new pantheon percussion sticks are great! 🙂 I really enjoy them! The 5B has withstood my bashing and has performed exceedingly well! For the price, I might change to using them permanently! The tip allows me to hit my loudest without it being exceedingly loud! However, Vater Fusion is still the nicest sticks I have ever used. The round tip produces the best cymbal tone. -sigh- Back to the practice place. I am in dire need of practice. I am super off form and I need practice with the click, period! Please stay with me Lord! Haha, I posted a lot today sia! Okok gonna go home and rest now! Give me a break! So Leb recently also talked about the Istanbuls so I did my research and found the Istanbul Sultan very desirable! If I ever get them it will be:14′ Hi hats, 17′ crash(because (14+20)/2 = 17), 20′ Jazz Ride, 10′ splash and 18 inch Xist Ion Crash or 18 inch Sultan China. 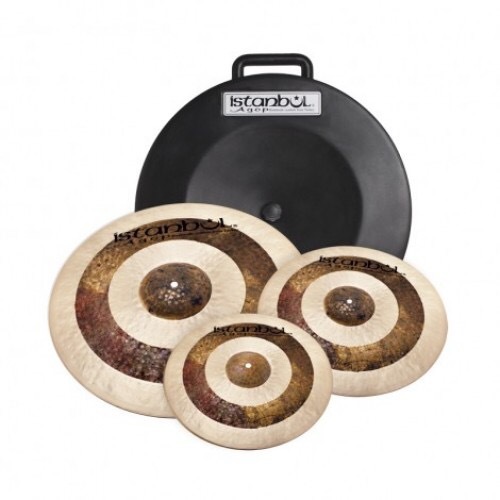 According to the prices online, the cymbals are actually really affordable! Hi-hats being $410! When it is on sale, let’s just watch! On the other side; drums. 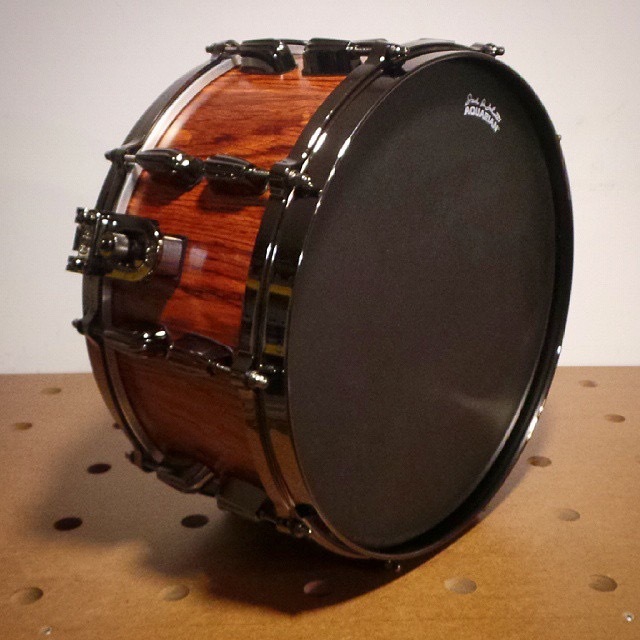 I want a 14×4.5 Pantheon Percussion Walnut Stave snare. With wood hoops and tube lugs, it’s gonna look killer! 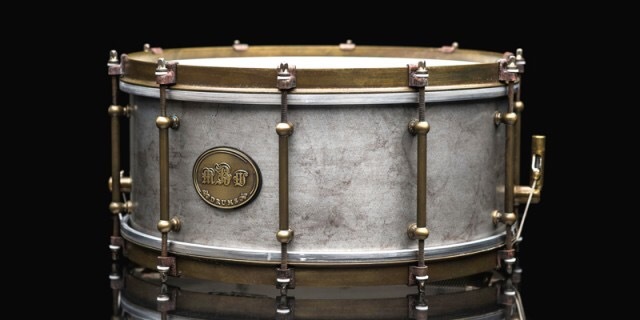 I also want a 15×8 Steam bent Maghogany snare! Also with wood hoops! It’s gonna sound fat and full! Then I saw the sleeping beauty snare! I haven’t got the time to post here recently, mainly because I was just that busy with school. Lord, there are many things that weigh my heart down. First, my cell. Lord, will you please bring harvest? Will you please allow my sec 4s to become men? Will you please light up a fire in my sec 2s’ heart? Father, it is a different cell and a different situation. Lord, please sustain Footsteps and may it continue to grow as a band of brothers! Recently, I realised that I haven’t been catching up with my sec 4s, I need to soon luhh! Father, please provide the time. Oh well… Oh and guys, I am not very sad or very angry hor, I am just ranting! I think recent events had made me more choleric. I am getting a bit temperamental and that is not good. Lord, keep me patient.